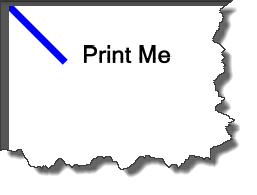 From the ToolBox search for print. 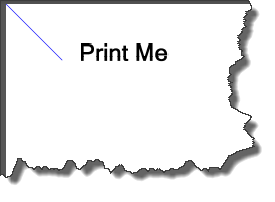 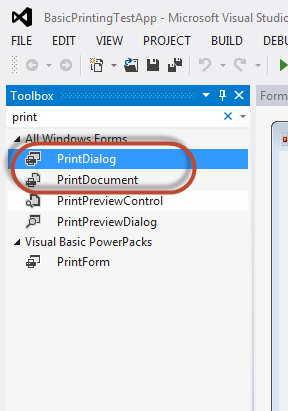 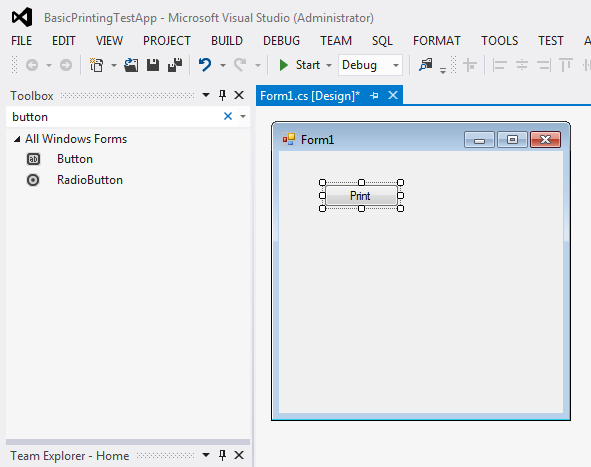 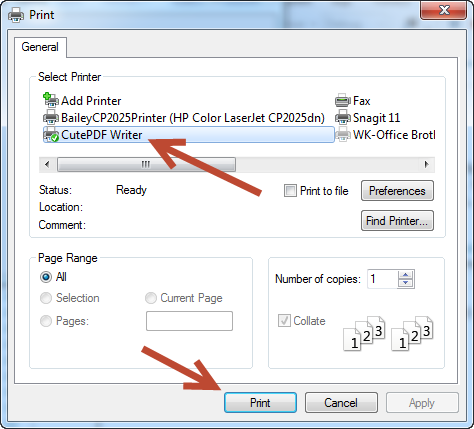 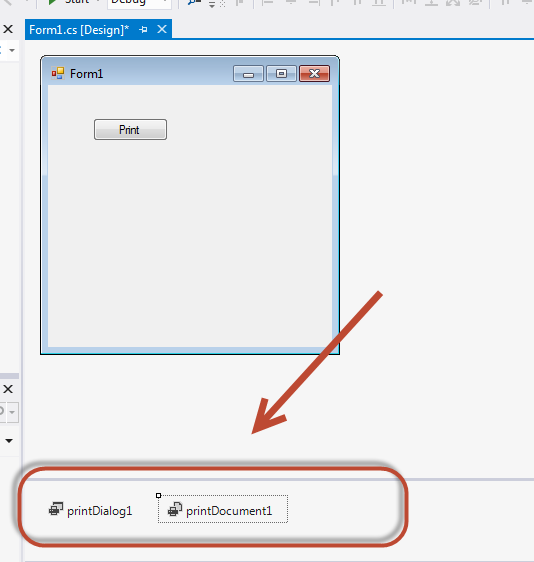 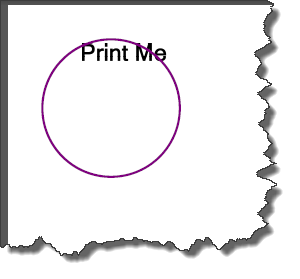 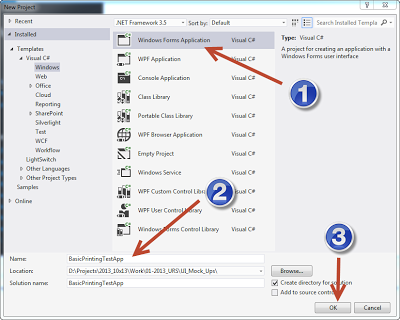 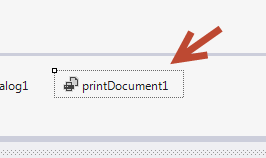 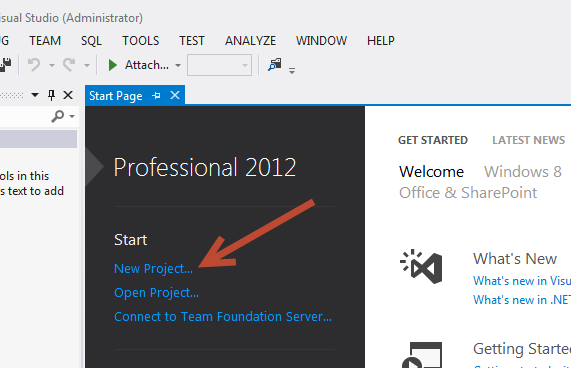 The two print tools that will be used for this simple tutorial are PrintDialog and PrintDocument. 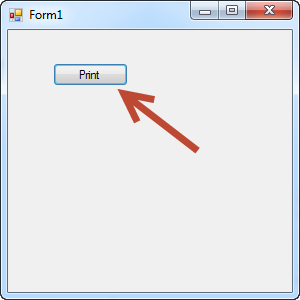 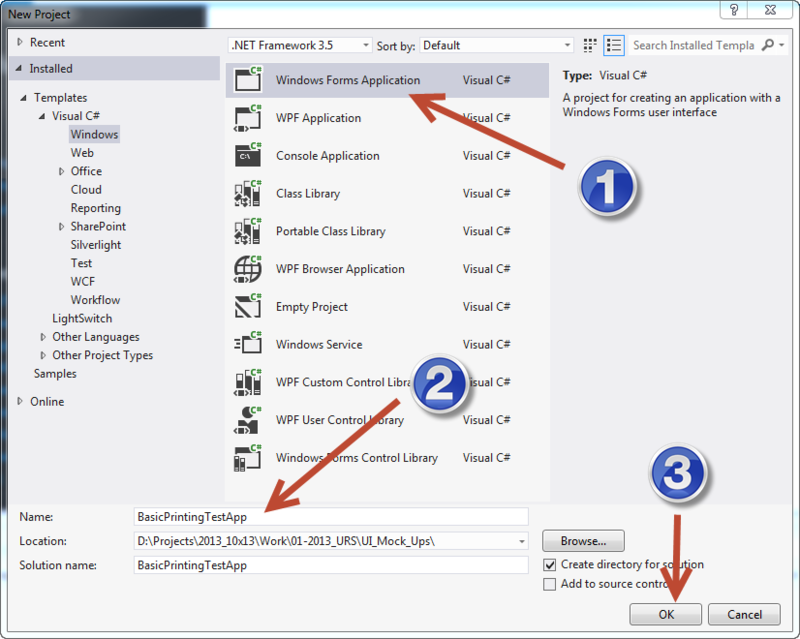 Drag and drop one PrintDialog and One PrintDocument tool to the Form. 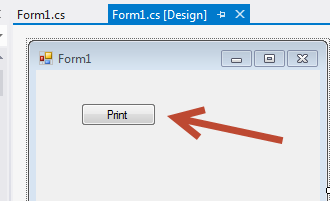 They will show up on the bottom of the design window. 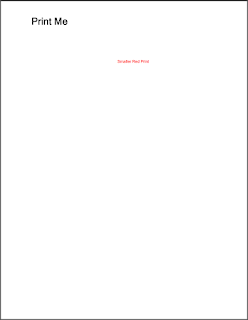 This document creates 2 fonts, the first one is bold with a size of 24 and the second font is regular with a size of 10. 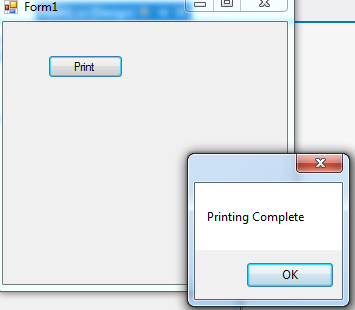 This is the PrintDialog. 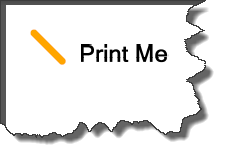 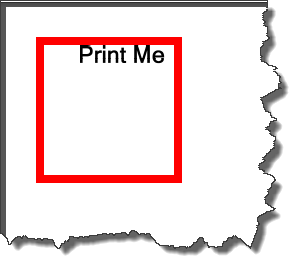 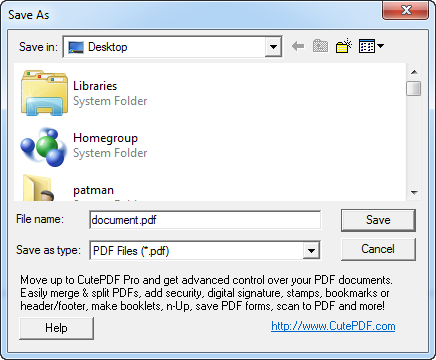 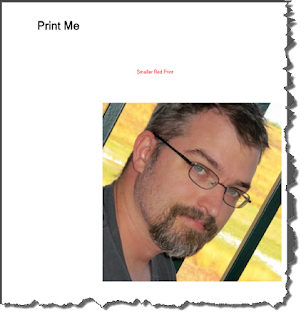 Here I selected the virtual CutePDF printer and click Print. 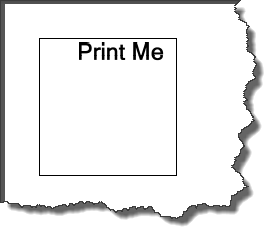 To print it. 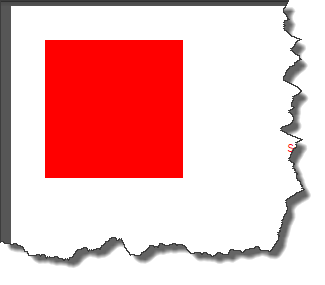 I wanted to test drawing a few more things on the screen here are a few examples of what I created.